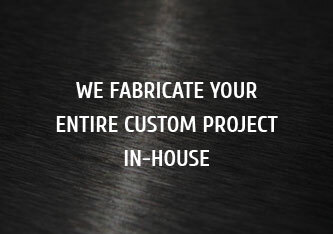 Our experienced Sales Staff is here to provide the best solution to your custom fabrication requirements. Since 1944 IPS (Wisconsin’s Largest Tank Manufacturer) has built a reputation on one simple statement; Build a quality product, on time, and right the first time. Our goal is to prove we can be a strong partner with our customers. We continuously adhere to our guiding principles of Ethics, Excellence, and Success. We want to be your first call on all of your projects. As one of the founding members of STI (Steel Tank Institute) we have dedicated ourselves to meet and exceed any and all challenges your company will face with the constant changes in environmental standards. We have worked with STI on many projects to help grow them to where they are today. We stay actively involved on the board of directors to continue to grow this industry. Our mission is to gain access in new markets and stay a strong innovator and leader by continuously improving our existing product and service offerings, innovating new products, and expanding our business through organic growth as well as acquisition growth of complementary equipment manufacturing companies. We measure our success by the level of satisfaction and value that our customers, employees and business partners receive. We strive to meet and exceed customer needs and expectations by providing timely, high quality services and products at a fair profit. Led by enthusiastic employees who give their best every day, we constantly improve our business practices through feedback from internal and external customers. A&S Welding Company Founded by August Schaal. A&S welding was the largest steel tank manufacturer in Wisconsin offering UL listed and API list tanks to the Petroleum, Chemical, Food, Paint, Brewing, Paper, Pharmaceutical, Construction, and Transportation industries. A&S Welding was sold in 1975 to a prominent business man, Dr. Jordan Kopac. International Production Specialists purchases A&S welding. IPS grew the business in many new ways. Over the years they would produce there standard products including UL142, UL2085 tanks, and API pressure vessels. They also went on to produce custom fire truck beds and the world’s largest grill for Johnsonville Brats. IPS purchases the assets of Dan Dee Equipment INC. located in Honey Creek Wisconsin. IPS moves heavy tank fabrication to the much larger Honey Creek factory. For the next 11 years IPS would build tanks and specialty weldments out of both factories. IPS becomes the newest member of ASME. IPS is now certified with ASME to build new Pressure vessels bearing the U-Stamp, and retro fit and repair of existing vessels bearing the R-Stamp. IPS purchases the assets of Stanwood Corporation. IPS/Stanwood is created and moves to the South Milwaukee facility. Stanwood’s customer focus is basic metals production, heat treating, high temperature coating, or any business that requires fabrications built to meet the demands of high temperatures and/or corrosive environments. Stanwood’s products are Muffles, Furnace fans, Radiant Tubes, Honeycomb Trays, Center post Fixtures, Heat Treat Baskets, Retort/Hoods, and Mesh Products. With the purchase of Stanwood IPS Tanks and Heavy Fabrications will be built in the Honey Creek facility. IPS purchases the Belgium Foundry. IPS Belgium Foundry which offers ductile irons used in various applications. The company caters to different customers, including manufacturers of, Pumps, valves, gears, and farm implements, mining equipment, railroad equipment, marine equipment, machine tools, chemical and petroleum equipment, hydraulic cylinders, construction equipment, material handling equipment, fluid power devices and electrical components are some of the few products offered by the company. IPS Foundry Services is the newest expansion for the IPS Group. IPS Foundry services utilizes the no bake molding process, no bake molding has proven its worth as an efficient means to produce medium and low volumes of complex castings in both ferrous and nonferrous metals. In the no bake process, sand is mixed with a chemical binder/catalyst system and then molded around the cope and drag halves of the tooling. We offer very good dimensional tolerances (±0.005-0.015) because the rigidity of the mold withstands the pressures exerted by the molten metal during casting. Compatibility with most pattern materials, including wood, plastic, metal, fiberglass and Styrofoam, allowing for inexpensive tooling options for casting runs as low as one. In addition, no bake molding imparts minimal tooling wear. This process reduces the opportunity for gas-related defects as the nitrogen content of most binder systems used for no bake molding minimize susceptibility to gas porosity. The key, as with any casting process, is to ensure the casting design is optimized to take advantage of the benefits afforded by no bake molding.